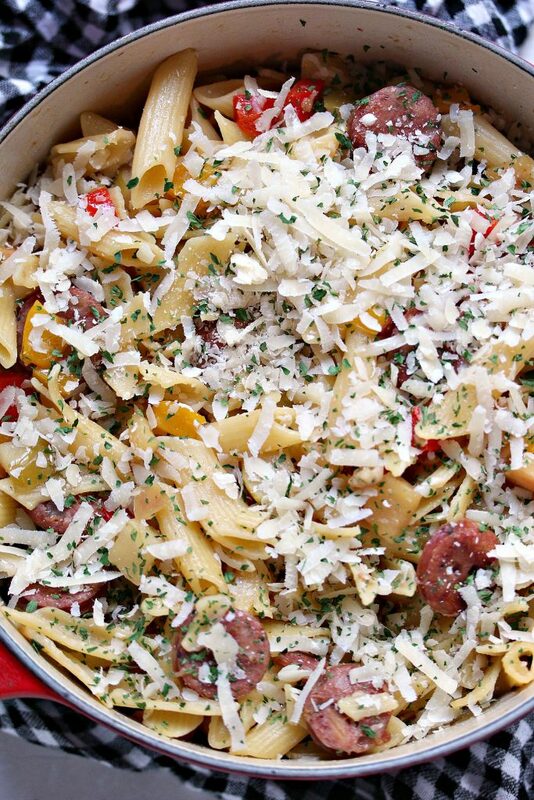 This easy pasta recipe uses sliced sausages, red and yellow peppers, plus Gala apples, and Granny Smith apples. 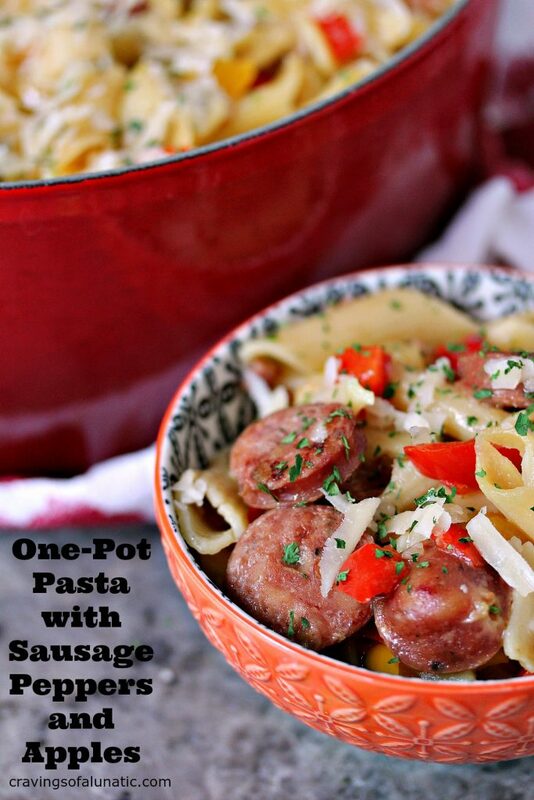 It’s all made in one pot, and is incredibly quick and easy to make! 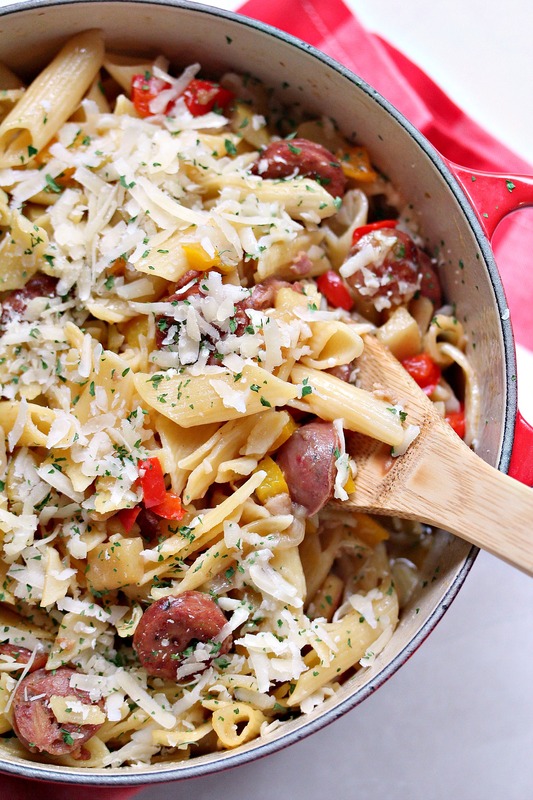 Click here to PIN this One Pot Pasta with Sausage, Peppers and Apples! This post has been sponsored by Barilla® & Aidells®. All opinions are my own, as always. Thanks to all the companies, and readers, who help support Cravings of a Lunatic. Okay, let me just say that this pasta is going to blow your mind. It’s so easy to make and it’s incredibly flavourful. It’s just different enough to challenge your taste buds, and entice them at the same time. It’s not your average pasta. 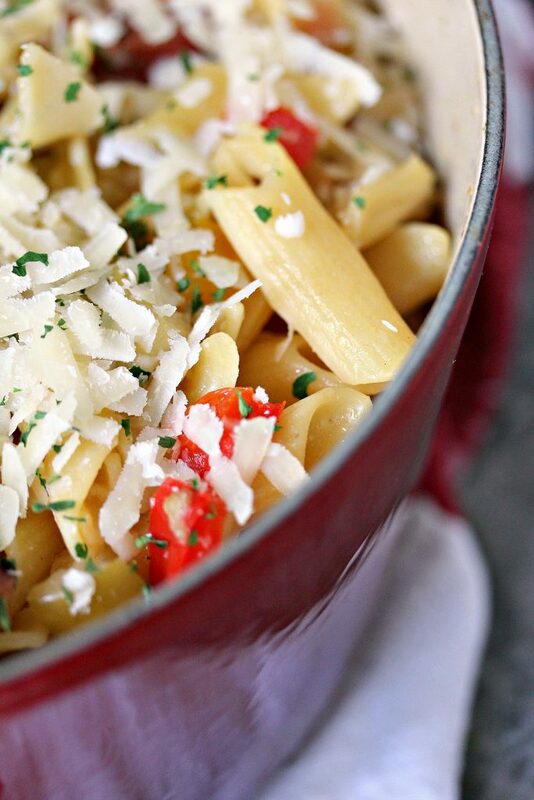 This is top notch pasta, but it’s simple and quick. I was really digging the theme of this campaign for Barilla® Gluten Free Pasta and Aidells® Chicken & Apple Sausage. They are challenging all of us to #EmbraceYourFoodie. I took that as “embrace your inner foodie”, not to just hug a random foodie. Don’t get me wrong, if you want to just randomly hug foodies that’s okay. Just don’t hug this particular foodie. I’m not a hugger. Never have been, never will be. I’ll high five you, I’ll hip check you, and I’ll even fist bump you. But hugs take things too far. I’m sure there’s lot of other foodies who would welcome your hugs. Maybe your significant other would love an embrace. Or you Mom, or maybe a chef who happens to be having a bad day. Honestly, I’m sure most chefs could use a hug or two per day. Their jobs are hard. Okay, okay, enough tomfoolery. Let’s get on with things here. I mean one of us has to be a grown up. I think given past history and the circumstances here that it should be you. I think there’s a much better change of things moving forward that way. Don’t you? Alright, alright, I’ll stop being goofy now. It’ll be hard, but I’m up for the challenge. Just like I was up for this challenge. <See what I did there. I know right. I think I’m the queen of the seque. Always smooth, always seamless. Okay, enough joking. I promise. One thing I never joke around about is food. I swung by Target to pick up a few boxes of Barilla® Gluten Free Pasta, plus a few packages of Aidells® Chicken & Apple Sausage. I totally dig shopping at Target, it’s one of my favourite places to shop in the world. Their staff is always super friendly and helpful. Which is great for a gal like me. I usually go in with a massive shopping list for the blog. Some things are easy to find, some things are not. Their workers always help by pointing me in the right direction. I get lost quite often. I also really love Target because I can grab everything from A to Z while I’m there. I can grab my groceries, plus flip-flops, beach towels, sunscreen, and anything else my heart desires. I can even grab DVD’s for when I’m feeling sloth-like. That works for me. One stop shopping. 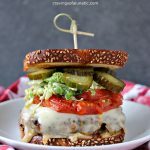 As soon as I saw the #EmbraceYourFoodie theme, and the list of ingredients I needed, I knew exactly what I wanted to make. 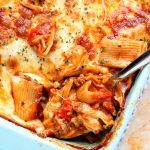 As soon as I grabbed my Barilla® Gluten Free Pasta and Aidells® Chicken & Apple Sausage this recipe immediately popped into my brain. Initially I was going to make a complicated pasta with homemade noodles and the whole nine yards. Then I realized most of my readers are much like me, they LOVE easy recipes. 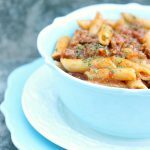 So I switched gears and decided to make a one pot recipe anyone could make easily. This recipe will impress your family and friends. They will think you spent all day working on this. Honestly, they will be so happy and grateful you made this for them they may throw bags of money at you. It’s that good. It’s the Magic Mike of the pasta world. Before you run off to Target, swing by to grab your discounts. They are offering a 5% discount on Aidell’s Gluten Free Sausage. There is also a 5% discount for Barilla Pasta and Sauce. 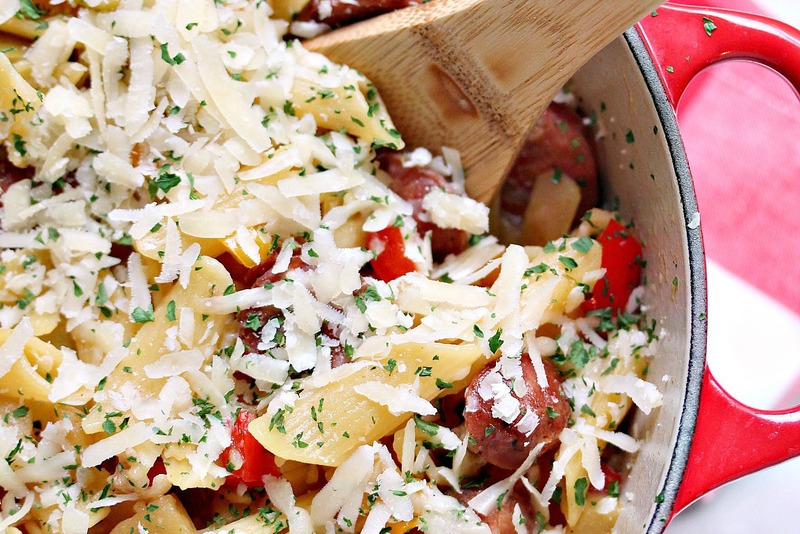 You’re welcome, from Barilla® Gluten Free Pasta and Aidells® Chicken & Apple Sausage! Barilla® Gluten Free Pasta is certified gluten-free, and has No GMO ingredients. All the flavour and texture your expect from your pasta! Aidells® Chicken & Apple Sausage is gluten-free with no nitrites or added hormones. 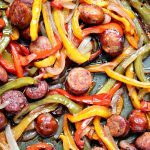 You can have fabulous sausage recipes made in about 8 to 10 minutes. You can sauté or grill the sausages over medium heat or bake at 375. Whip this up as soon as you can. You can customize it to your own tastes, but honestly I wouldn’t change a thing. This recipe is sheer perfection. The flavours all meld together and each bite is pure bliss. So, now that I think about it, do not change one single thing! For real. In a medium to large size dutch oven, or saucepan, add the olive oil and bacon. Turn the burner on medium heat and cook until the bacon starts to turn slightly brown around the edges. This should take about 5 to 8 minutes. Toss in the sliced sausages and onion into the pan, continue cooking over medium heat for about 8 to 10 minutes, or until the sausage is perfectly browned and the onions are starting to turn a golden colour. Add more olive oil, if needed. Toss the peppers and apples into the pan. Add some salt and pepper. Continue cooking over medium heat for about 4 or 5 minutes. Just enough time for the peppers and apples to brown slightly. Add more olive oil, if needed. Add 4 and 1/2 cups of vegetable broth to the pan, then add 1 box of Barilla® Gluten Free Penne. Stir until everything is mixed thoroughly. Be sure the liquid covers the pasta. Bring to a boil, stirring occasionally. Cover, and reduce heat to medium low. Allow to cook for about 7 to 8 minutes. Check once to make sure it's cooking but not sticking. Remove the lid and toss in the cheese. Place cover back on the pan. Let stand for about 5 to 7 minutes. Remove cover and stir until everything is combined. Add more cheese, if desired. Serve with a big old pasta loving smile. Always be sure to check all of your labels to ensure your ingredients are gluten free. Dig in everyone. Dinner is served. Plus it reheats beautifully for lunch the next day!! Pin this to your Favourite Pasta Board! 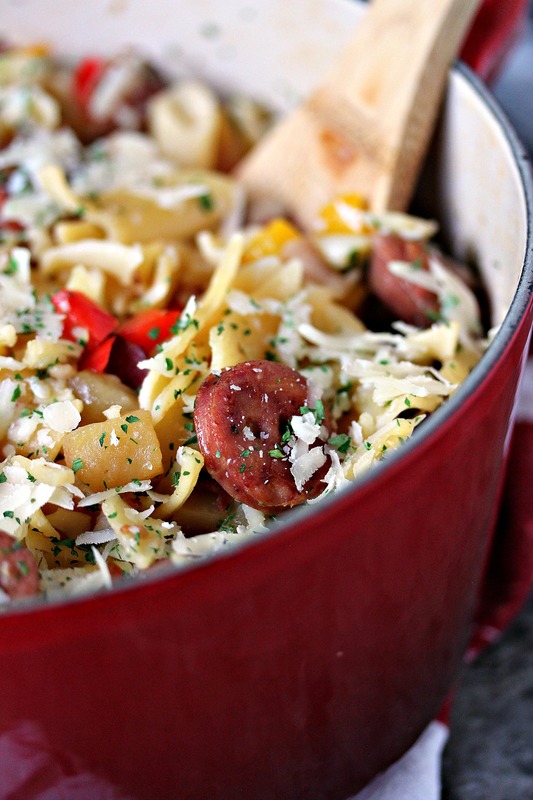 Or Pin this to your Favourite One Pot Recipes Board! Thanks for reading. Be sure to check out my recipe index. You can find more main course recipes for all your dinner needs. 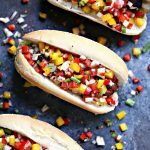 Also be sure to follow me on Pinterest and Instagram to keep up on all the latest and greatest recipes from the blog. 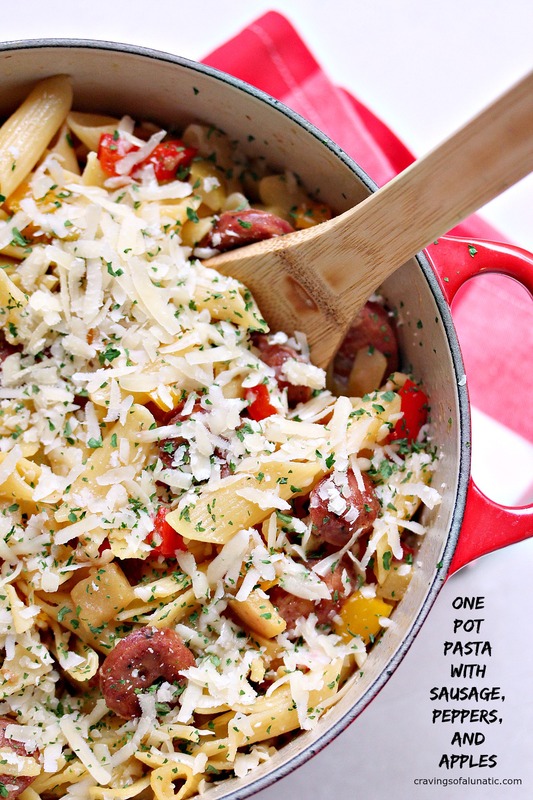 I love one pot meals, and I am totally loving the combo of flavors here! Okay, this pasta is already blowing my mind and I haven’t even tried it yet, but that won’t be the case for long! I can’t wait to make this! Awesome looking dinner recipe! Love these flavors!! Oh my goodness, I need this dinner in my life! It looks like perfection! 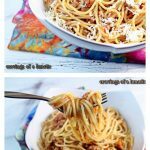 I love quick and easy meals like this!